Although food poisoning is a common problem, it is distressing and at times life threatening for millions of Americans and other people across the globe. Food-borne organism may cause no symptoms or mild symptoms such as intestinal discomfort. Other times they may cause severe symptoms including bloody diarrhea and dehydration. Food poisoning can be fatal depending on the type of the infection. Salmonella and campylobacter bacteria are the main causes of chicken food poisoning. 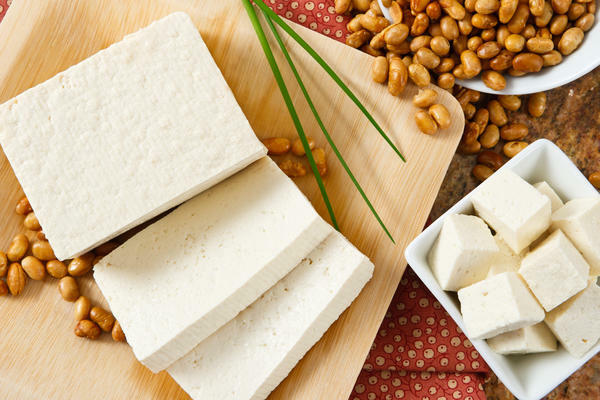 The sources of these bacteria include poultry products such as eggs and chicken, unpasteurized milk and meat. The bacteria live in the intestines of livestock and poultry. Salmonella and campylobacter bacteria can be transmitted from their hosts to the human food chain through feces. Humans can also get the bacteria after livestock animals and birds are slaughtered. Washing chicken before cooking may also cause food poisoning from chicken. Many people assume that washing chicken kills germs and bacteria. However, washing spreads bacteria and germs to all chicken parts, which increases the risk of chicken food poisoning. The incubation period refers to the period from when one eats contaminated food to when symptoms of food poisoning appear. Most people experience food poisoning symptoms between 24 and 48 hours after eating contaminated food. Symptoms of salmonella food poisoning appear between 8 and 72 hours after taking contaminated water or food. Severe symptoms last for 48 hours and include nausea, chills, fever, muscle pain, vomiting, diarrhea and bloody stool. Other symptoms include abdominal pain, tenderness or cramping and dehydration signs such as a dry mouth and decreased urine. Campylobacter bacteria cause acute diarrhea and is transmitted by consuming contaminated food, unpasteurized milk or water. It is also transmitted through contact with infected wild animals, infants, and pets. Campylobacter symptoms include nausea, fever, diarrhea (sometimes bloody), vomiting, malaise or uneasiness, and abdominal pain and/or cramping. Campylobacter infection can be severe especially for patients with a weak immune system. It causes additional complications such as nerve problems, reactive arthritis and brain problems in some rare cases. The additional complications appear after diarrhea occurs. How Is Food Poisoning from Chicken Treated? You do not feel like eating or drinking when experiencing food poisoning symptoms. Do not eat or drink in the first few hours of the infection to give your digestive system a break. Avoiding food and drinks allows your stomach to settle and prevents further vomiting, nausea and diarrhea episodes. Vomiting and diarrhea will cause dehydration. Take small and frequent sips of water when you feel ready to drink. Start with a sip or two and see if you can hold the water down. Continue taking sips of water when you determine that you can hold it down. Doctors recommend 8-16 glasses of water per day to keep the body hydrated and avoid effects of dehydration. 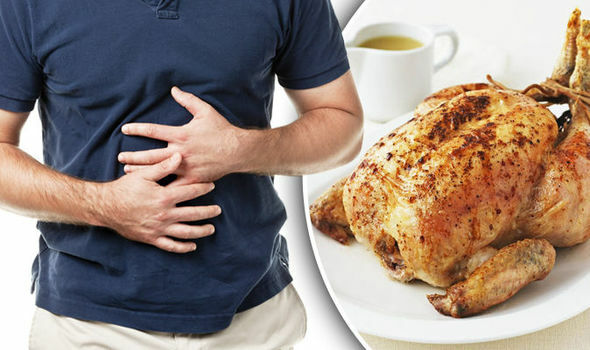 You may feel hungry after the symptoms of food poisoning from chicken reduce. Eat bland foods such bananas, rice, soda crackers and toast and not pizza or ice cream. Eat the foods in small amounts and slowly to determine if your body can digest food. Avoid foods that are hard to digest such as fatty foods, dairy, alcohol, caffeine, and spicy foods. Consult a doctor if you experience severe symptoms of food poisoning and if you cannot hold any food and water down. The doctor may give you intravenous fluids to dehydrate you at the clinic or office. Intravenous foods contain salt and water that supplies nutrients to your body faster than water. Doctors recommend antibiotic medications when bacteria in chicken cause food poisoning. 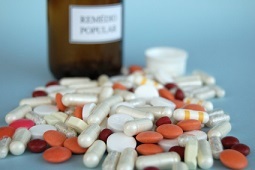 Antibiotics kill the bacteria and prevent further infection. They are not prescribed for all cases of food poisoning from chicken. However, doctors recommend oral or intravenous antibiotics when food poisoning symptoms are severe. In addition, doctors prescribe antibiotics to pregnant women suffering from food poisoning to protect the unborn child from the infection. Wash your hands before and after handling poultry. Read and follow cooking instructions thoroughly. Defrost frozen chicken completely before preparing it. Ensure that you store chicken at the recommended temperature in the fridge. Use small containers to store leftover chicken in the fridge. Store cooked and raw chicken separately. Food safety is important to prevent food poisoning. Ensure that you follow instructions given in handling food and practice good hygiene when you are handling, preparing and cooking all types of food.